This must be the reason why doesn't have any boundaries in music. 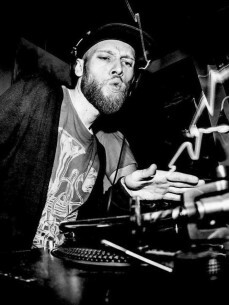 Now hey is co owner of soulclap events and dj-ing for evenings like soulclap,wickedjazzsounds,nightshift@thesugarfactory, diep in de groef etc. Because of his connections with other djs and artist he became more noticed of other kinds of music that also went back to his early years growing up. with people like leroy rey, pete blaker, Bodem, niels luinenburg DF and ome funk around, leeuwarden was a good base for producing and enjoying music. so also he started discovering the producing side of it. starting of with some broken beats and house like tunes he slowly developed some kind of own way of getting it together.